I tried to extract sounds_sfx.pck and then convert into .ogg but after running .ogg file in the (VLC players, Media Player Classic HC or foobar2000) I can only hear creaking. I think you don't understand how wwise banks work. From these 5 files, 4 files are proper 6-ch music files, all converted ok with OLD codebooks. And the first file is probably the result of your attempt to extract the prefetch data from the sound bank. This contains about 300 prefetch blocks, combined in one file. Some of them are playable, because the sound is short, and was fully prefetched. Some are just the beginning of the big file that must be somewhere else. In short: you extracted these files wrong. I can upload the whole file sounds_sfx.pck because I have no clue what to do. if you would be so kind and wrote me what to do, step by step. These 5 files are just a part of 19 971 files. What I extracted. What did you use to extract them? Just use another one of those 3. I have a feeling that none of these will be able to decode all sounds. 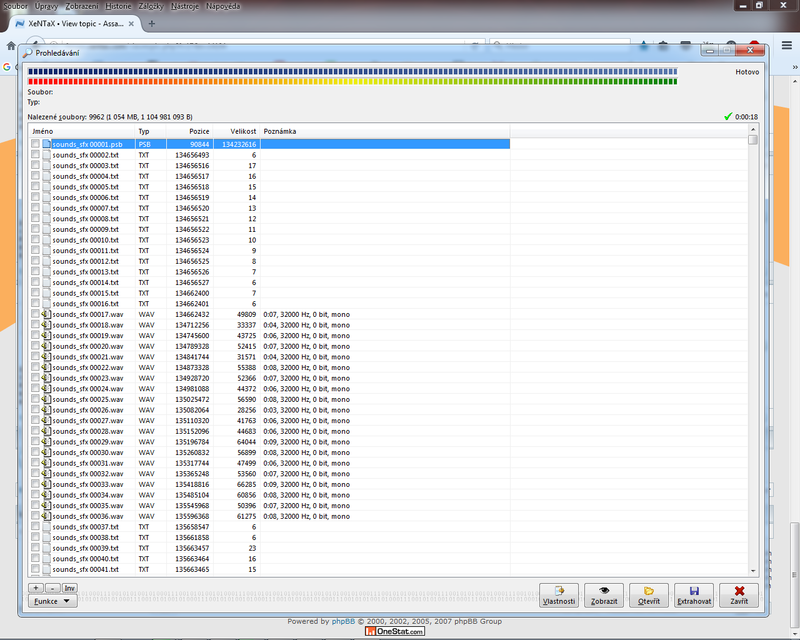 You can have most of 17000 files working with Wwise_PCK_Decoding, but still will be missing some 1000's of them. What's the total size of sounds_sfx.pck ? As I expected, the file has BNK files inside in addition to usual WAV files. And that's why all extractors fail with it. I can't download the file to the end yet, it's slow and always fails in the middle. Should I the file upload somewhere else ? But I do not know where. Drop the pck file into this tool, and it will extract all BNK & WAV files from it. Then use BNKEXTR (you have it) on BNK files. Then delete all WAV files, and you must have 20961 playable ogg files left.